44mm, polished stainless steel case, large second hand, automatic movement, and date. 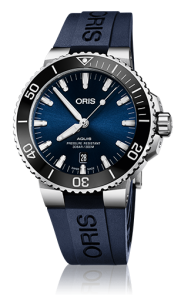 It features an elegant blue sunburst color dial, and exhibition glass back. 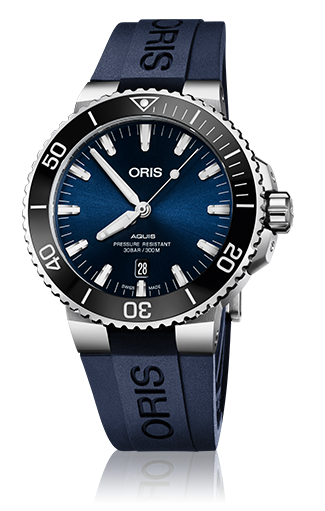 Shown on a new blue color matching rubber strap and stainless steel folding buckle.